All the flooding in Kansas and Northern Oklahoma promises to bring an additional 9 feet of flood water to Fort Gibson Lake. The Lake is currently 18 feet above normal. This could be the worst flooding that the lake has ever seen. 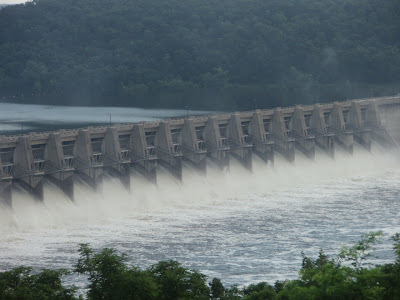 In July, the dam usually has all the gates shut, but, with this situation, they are full open. It is really something incredible to see.